We talk a lot about ideas and there is "Show HN" for when you reach a somewhat working state, but what about in between? There seem to be many people struggling with motivation to continue on their side projects, so how about having a weekly post where you can post a progress screenshot? So if you like the idea, please post a screenshot and a few words of explanation on what you have been working on for the past week. I've been creating something completely reckless for the last two weekends. QADE (Quick and Dirty Editor) allows anyone who can access it over the web to view and/or edit any file that the web server process has access to, as well as execute any arbitrary shell command and view the result right on the web page (via the "Console" tab). It's written in good ol' spaghetti PHP with a generous topping of AJAX. Because why not? The idea is insane to begin with, anyway. 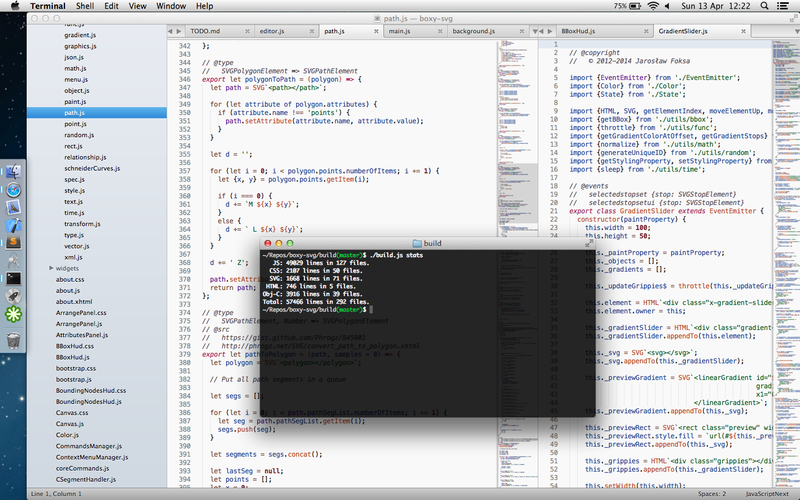 The screenshot shows QADE editing itself over the web. The webshell lets me commit my changes and push it to Github, right in the comfort of a web browser. The editor component is ACE, which provides syntax highlighting for every language I care about as well as a regexp-enabled find & replace function. The "New" button currently doesn't work, so you have to use the webshell and `touch` files that you want to create. I think this is super cool. I've been looking for an editor that lets you do everything you need to in the browser. 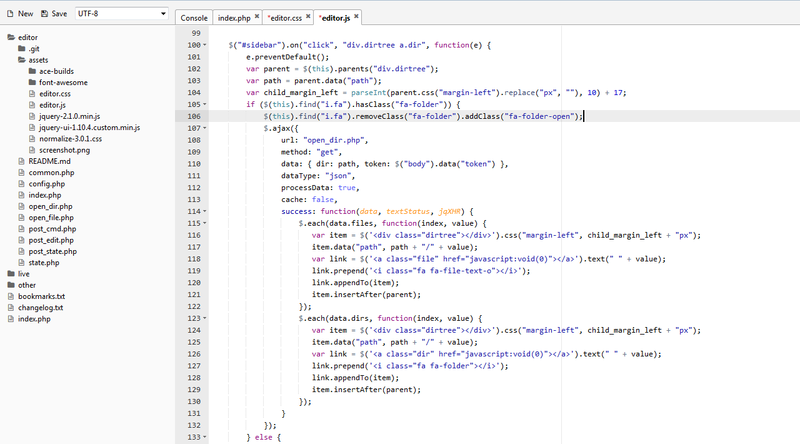 Ideally this would let you write code and switch quickly between your site and the editor, like an IDE's run button, but all within the same browser tab - I did a quick (and very crude) jsfiddle to show this: http://jsfiddle.net/RyT3w/1/. Like you say there are security issues but that isn't a big deal with local web dev or within a company that has firewalls to the outside world. I just open the live website in a different tab (browser tab, not editor tab) and use keyboard shortcuts to switch between browser tabs. It's the only way that is guaranteed to work. I could try loading the live website in an iframe inside the editor, but it will break if the live website uses X-Frame-Options: SAMEORIGIN and the editor is located on a different hostname (which it really should be for security's sake). Cool, didn't know about X-Frame-Options. Either way, it'd be cool if there was a good option for when you don't have access to ssh or aren't comfortable with it, which it seems like this could fill. I was thinking about doing the same thing with cloud9, this seems to be a nice alternative. 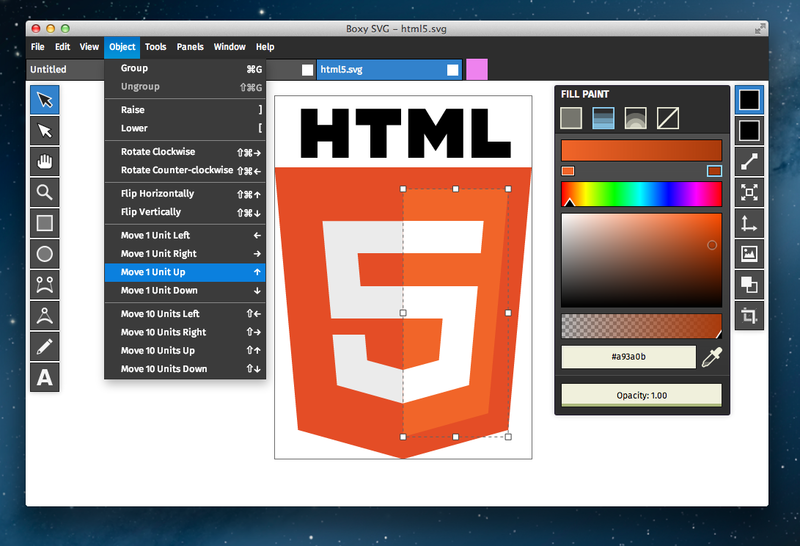 QADE uses Cloud9's ACE editor, so the frontend will look very similar. The backend is written in PHP instead of node.js, though. Cool! This shouldn't be on the server permanently I guess. But I am going to use it for doing quick edits on the server when in development phase. I use cpanel for that currently. This sounds awesome. Keep working on it. Sorry, I thought ACE would automatically recognize something as common as C/C++ source file extensions. Turns out it doesn't. Fixed. The app is called Fora. At first glance, an open source version of Medium. But it's really much more. I am struggling with how to describe it (which is extremely important), perhaps HN could help here. Idea: Most information (such as music, movies, blogs or products) is typically stored in database tables having various structures. Fora lets people define these tables, describe how it needs to be formatted on screen, and build communities around them. So for example, Medium.com will be a structure having Cover (image), Post Title(string), Content (html) and Comments (string). Get yourself a package.json! Then you can simplify your long list of dependencies to just one "npm install". Am I on the right track by saying this is medium for all different mediums? As a musician and sometimes songwriter, I think it'd be really cool to be able to share songs in a user-friendly and visually appealing way, like medium does for stories. I imagine a lot of other artistic disciplines would be the same. Yup. This is kind of medium for all mediums! 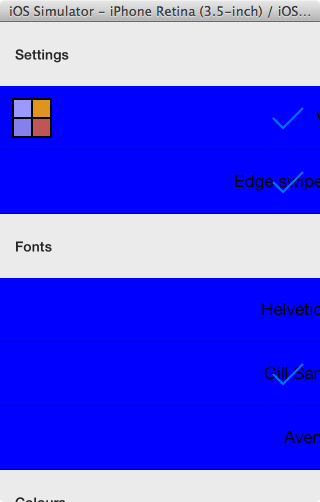 - If you don't find the type (or medium) you need, you could create a new type yourself. And if you made a new one for Songs (say with Title, Lyrics, Date and Band name), it becomes available to everyone on the site. I think this is probably a critical thing for you to solve. When I read down through posts like these, rarely do I give anyone more than a few sentences. I respond most strongly when I have a general idea of the product, without analogy, by the end of the first short sentence. Please avoid jargon, things that can be interpreted multiple ways, and analogies in that first sentence. They're all unnecessary and domain specific. There is a lot of room for Steve Krug's "Don't Make Me Think" when describing product. "Hacker News is a group driven news site, oriented mostly but not exclusively towards technology and new business, which leans heavily on a community which shares viewpoints, opportunities, and critique, in the hopes of driving one another forwards towards mostly internet business success. There is a lot of discussion of startups, of market and business strategy, business models, advertising and site technique, and a very high ratio of personal requests for discussion on specific topics." How about "modular publishing platform"? Hey thanks. That is certainly one of main ideas I want to capture while captioning the app. On the downside, that is what all publishing platforms will claim to be. I might also prefer something a little less technical (omitting platform), yet not missing that aspect completely. 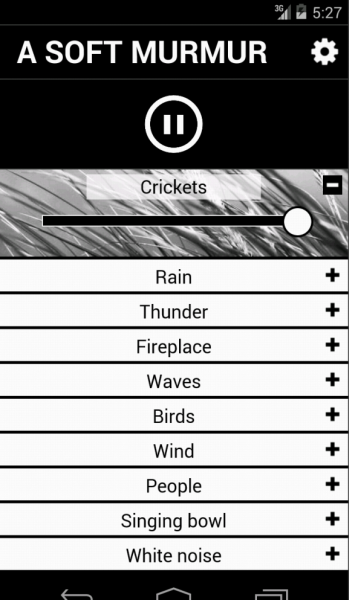 I'm planning on releasing a free version with 3 sounds and a 2.99 version with 10 sounds and timers and other features from the web version. I've never sold software before, so I pretty much have no idea what I'm doing when it comes to the marketing side of things. I have a suspicion the most lucrative approach would be based around in-app-purchases, but I really dislike those. I'm working hard to make the user experience seamless, easy and smooth. I think the end product will be something I'll enjoy using. I really like this idea a lot! Please continue, and I hope you release soon. I value your app at 99 cents. Depends of it's popularity a good paid app can have thousands of downloads so even at 1$ you could get a real profit. It's an OS X application called Honeycast for composing audio/video layers and broadcasting (much like XSplit for Windows). The screenshot shows a session with a couple screen region snapshots and a webcam's video being composited. I have been working on buttery smooth 60FPS screen capture (really tricky on these retina Macbooks with underpowered GPUs). It's looking great. Now, I'm working on the RTMP protocol to communicate with video streaming servers (Twitch.tv, Justin.tv, YouTube, etc.). I'm hoping to release to the App Store soon. The closest solution like Honeycast on Mac is the $500 Wirecast. I think there are a group of people that could benefit from a cheaper solution! I'm very interested! The current "solution" is CamTwist + Adobe FMLE. Hopefully I can get it launched next week and see if I can get some orders. 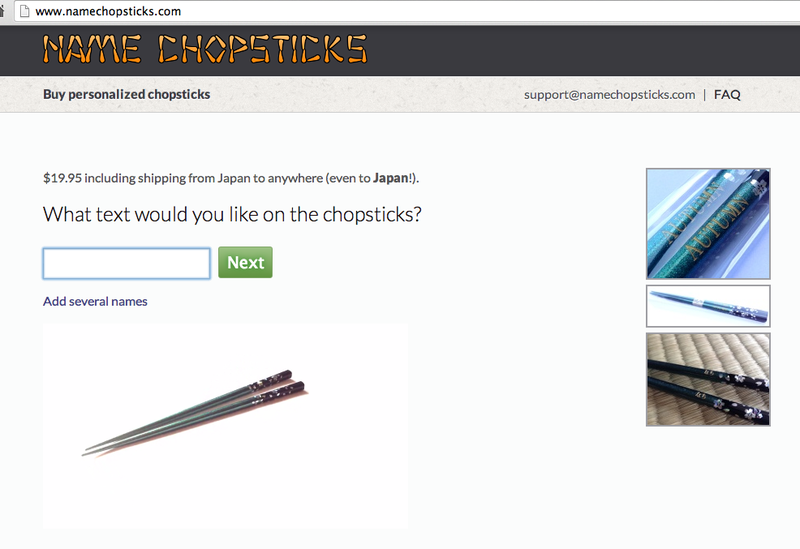 I used these chopsticks as an extra gift to current customers and they seemed to like it and were wanting to order more, so that's why I decided to work on a separate page for those. I was in the middle of commenting on how laggy the input to your text box was being before I realized that I'm practicing a rather special brand of idocy this morning. Screenshot Saturday will take some getting used to. Slick idea. When you're thinking about marketing, don't forget weddings. Out of all the silly wedding schwag/gifts I've seen, chopsticks with my name on it would be pretty awesome. The wedding blog/forum niche is tough to break into, but could be a great marketing avenue for you, as they /love/ merchandise that can be customized to guests, particularly products that are new and still unique/uncommon. Nice. Some large hi-res photos showing the design would be awesome. I was thinking of using them as a moving background, but that didn't seem to work out on iOS as it won't autoplay videos. Was fun though. How about http://www.divergentmedia.com/phosphor ? Always worked for our animated videos, anyway. What would be really cool is if you showed what they would look like with the name on them as you typed it. Working on my website for my wedding. Using it as an opportunity to teach myself Django, so that I can make mistakes here before I start using it for a work project. Right now, I'm working on adding the ability to RSVP for events. I've built something similar: annaenber.nl. It was a great moment to build something using mongodb and to fiddle around with some CSS3 transitions. I always try to build small and releasable side-projects as an opportunity to learn new stuff. As someone getting married in a few short months myself, congratulations - your site looks great so far! Looks great, one tip is that its nuptials not nuptuals. Congrats! Thank you! I just finalized the majority of the updates now. Only thing left to add is details for the Anglican ceremony, which I'll take care of this weekend. Some potential applications: QR codes, barcodes for rewards cards, Google Auth OTP, text terminal for a Raspberry Pi, etc. I was speccing out something like this a couple months ago (for TOTP), but never got past the planning stage. This looks awesome! Nice. Where do you source e-paper display from? You can buy a cute dev-kit that works as a MSP430 Launchpad Boosterpack and has extension headers for Arduino, etc. off Digikey. looking forward for daylight. should produce much better results. Cool, I've always wanted to do something like this. I love my IRC & BNC set-up and have always thought that other chat systems could learn a lot from it, and at the same time that the process could be simplified for newer users. Have you seen Subway ( https://github.com/thedjpetersen/subway )? If so do you have different goals with your project? Assuming Subway also supports concurrent web sessions from multiple devices, it comes down to the design. I'm going for more of a classic/low-level mIRC feel with a focus on simplicity/minimalism while pleasing the IRC power users. Larger/easier to read text while being able to fit more of it is nice, imo. Not sure why they opted for the opposite. I've been using WebIRC for a while now, and I have to admit the convenience it offers is well worth the small cost to get it setup (my $35 a year vps wasn't doing much). It's simple and does what you expect. That's a WIP port of Conception in Go. 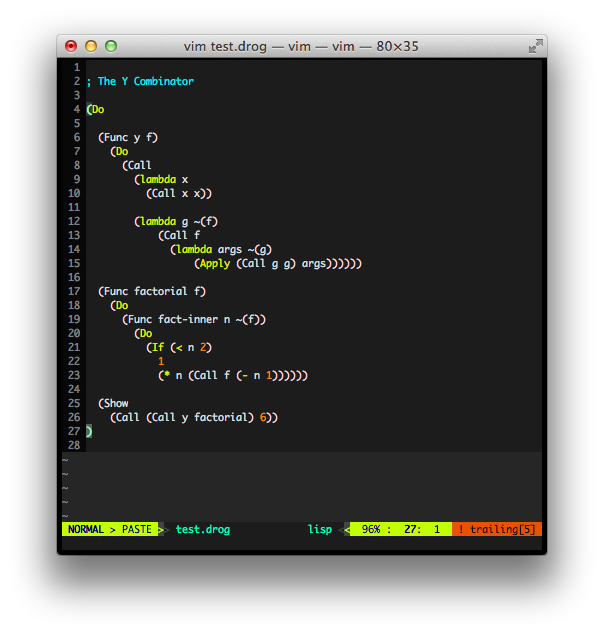 It's an experimental code editor/live development environment tool. What you see is an experiment at creating a Sublime Text/Atom-like fixed UI, with the list of Go packages in a tree view on the left, code in the middle, and various live widgets on the right. For instance, you can see a live git diff, the type of variable under your cursor, and various other debug things related to the parsed AST. The result is http://eyemap.io. It's a simple-to-use, affordable gaze tracking analytics system with your tablet. I'm still testing if people actually want the service. It's hard to make sense of it, because people sign up to the mailing list but nobody would pay for it. How accurate is the tracking? Recently tried to do gaze tracking on an iPad for a hackathon and whilst we were able to detect viewing direction (left, right, up, down) getting an actual pixel info was nearly impossible. We had stable and good eye corner and pupil detection, the problem was the movements were just so small the data got extremely noisy. Curious how you approached that! I used something like 4 different algorithms in the end to approximate the pixel location. A voting algorithm + smoothing algorithm is also used to find the final pixel location. What I did to measure accuracy was to draw targets on the screen, and focus my eyes on them. The error the absolute distance from the estimated pixel to the actual target pixel. To answer your question - on a Nexus 10, there is a expected error of about 0 to 160 pixels radius in office lighting conditions. As for small movements, I use the full resolution video of 1344xwhatever, which gives a lot more leeway in terms of movements. The movements are then smoothed over time using a moving average over 8 frames, and another smoothing algo uses a pyramid kernel. TL;DR: lots of algorithm. Quite a number are dodgy. Can you make an online demo or something that shows it working on my laptop? I have a hard time believing that you can localize my gazes - I need to see for myself. This is a good idea that just needs to be marketed in the right way. Unless you are seeing keen interest from people willing to pay for this directly in its current form, where I would research and learn how website or app optimization platforms market themselves. I've been working on a new way of structuring data which results in fast, easy querying (here, of semantic data). Here is a screenshot of the result of a query for "all museums in Paris that have art by Picasso." These are from the Windows app, but that may never be released. The web app is coming along really well and much faster than I expected. In any case, I'm really happy with how the it's going overall. I'd like to hear more. Is this open source? I'm interested in semantic data, and how that's used. Do you have any recommended example sources to learn how to go it? Sure -- my email is in my profile. And because I made this screenshot just after midnight, I spotted a bug in the clock display. hour 0 should display 12 for am/pm mode. This screenshot shows work in progress with an expanding group of beta testers. It's been really fun working on this so far. I've been spending the past week implementing automated policing tied to a reputation system that gradually unlocks airports and airplanes. Nice work! 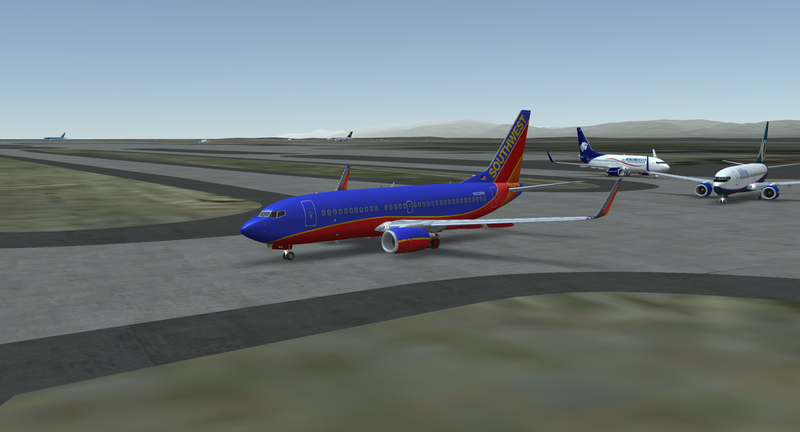 I've been looking for a good flight simulator for Android (X-plane is nice but feels amazingly limited). What is this written in? Would it be possible to port it to Harmattan? I'm not familiar with Harmattan. That's really cool! I didn't expect that you could use Xamarin for such games. Are you by any chance planning a Windows/Windows Phone release? We were on Windows Phone but stopped maintaining the app a year ago because XNA was dropped by Microsoft. Nothing really special here. Being a perfectionist I haven't been able to find any expense-tracker apps that I like. Most have either to much stuff going on, or are too focused on being pretty. Or are too 'budget' inspired. I don't have any spend-too-much problems, I just want to keep track of my expenses out of pure interest in recording stuff. So there is no budget-functionality, only pure minimal expense-income tracking. Just the way I want it. Since I am travelling I've also made it so that I can easy input the expenses in the currency but at the same time always have a converted "main currency" visible. I haven't been able to find another app that did that in a smooth way. 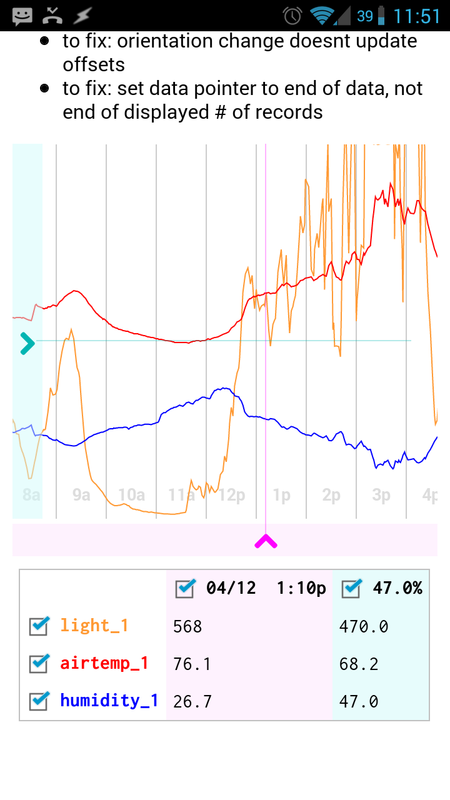 I will have some basic charts also in the future, dropbox sync etc. Spendy looks like something I would love to use too. Where is it available? It's not available yet, I am still building it. I've been using the "prototype" for myself. I am hoping to have v1.0 done in a couple of weeks though. If you want I can notify you on email/twitter/etc when it's done. I would like to be notified too. Spendy seems like a great app for keeping track of what you have spent while traveling. :-) @flexd on Twitter. Working on a new pelican (python static site generator like jekyll) theme with a minimal old book style, with renaissance serif fonts, text decorations, etc. Not a designer, so I'm having a bit of trouble but I think I did fairly well so far! Comments appreciated. Hey, I've just published jstatico, yet another static site generator. I wanted to ask if it's ok to fork and modify this to create an example site to use with my generator. I use nunjucks so porting should be trivial. but you don't have a license. So, I wasn't sure if you'd allow "repurposing" too. Sure, you can fork this. I'd love that. But beware, this is really early stage and I wouldn't trust it to be complete. The markup is really a horrendous hackjob and hasn't been rigorously tested in older browsers. Basically if you modify in any way and it looks visually quite similar, please keep my original attribution text and URL visible. Deal? Man, licensing is hard! That's really cool. I wouldn't say that you are not a designer, especially considering how much I struggle with CSS/HTML5 to get an acceptable result, on my rails views. 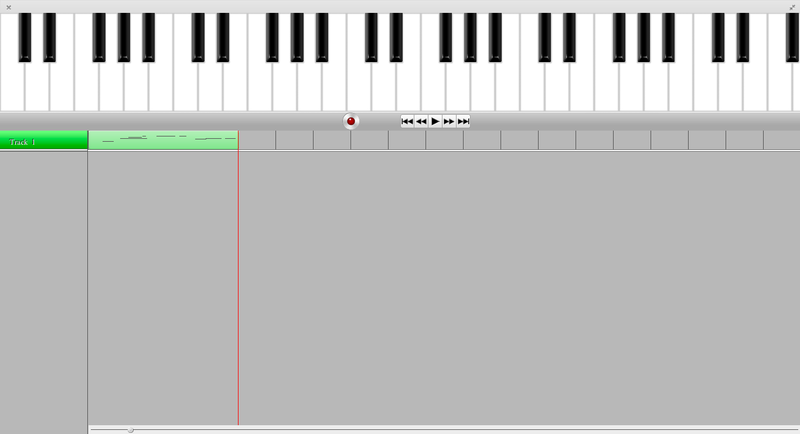 I'm writing a software synthesizer (a VST instrument plugin). I've been working solely on the DSP (audio processing) code for a while, and am shifting gears to work on the user interface. The synthesis algorithm, roughly, is that the graph on top describes a Lissajous curve which is used to shape the phase of a cosine oscillator, and there are two cycles of said oscillator displayed underneath the curve. The knobs underneath it are the parameters for adjusting the curve shape. The UI is all OpenGL 3.2 using a convenience toolkit I rolled myself (for layouts, event dispatching, etc). 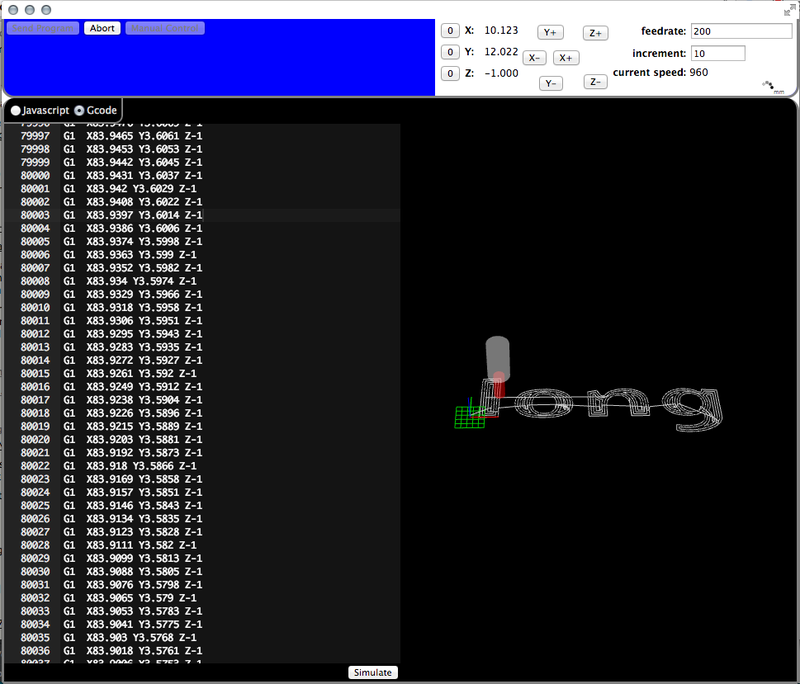 Currently working on hooking the UI into the DSP side of things. Any guides on how to do this? I'm a programmer and my brother is a music producer.... he has a few ideas for plugins but I couldn't find any libraries online! Thanks! Even armed with all the resources in the world, though, I cannot stress how important just jumping in is. Write a couple of basic plugins and you'll get a really good feel for how the pieces fit together, what's important in the algorithms, etc. I've been working on a cross-platform multitrack audio editor, because it frustrated me that most open-source audio editors work with either synthesized audio or recorded audio but not both. Isomer, an isometric graphics library for HTML5 canvas. I'm _almost_ ready to release. I've been working on the docs here (http://jdan.github.io/isomer/), but the code is still private. Very nice work. A suggestion: keep the generalized library open source and a separate implementation that lets you use your library for charting as something private that you sell. Cool! If you have any questions about canvas and/or Firefox performance while working on this come hang out in irc.mozilla.org #gfx. My brain was expecting this to be an Escher staircase, and I was actually confused when it wasn't. Very cool project! 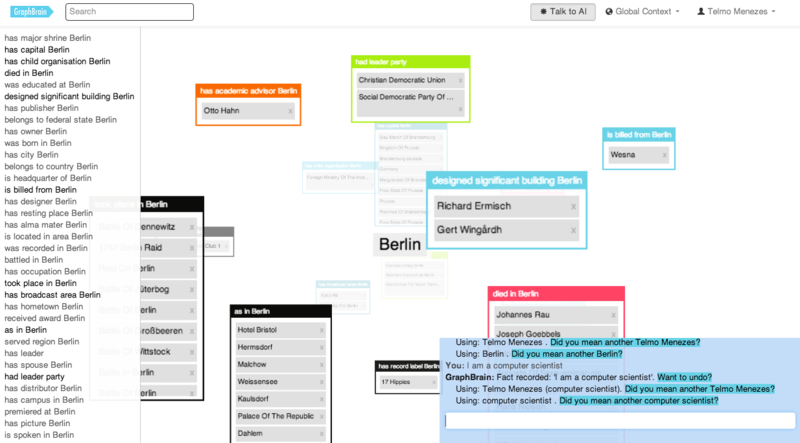 I'm working on a knowledge graph + NLP interface. This is really cool! Are you building it from scratch or is there some existing knowledge graph you're building on top of? Thanks! We bootstrap the knowledge graph with WordNet and then build on top of it with knowledge extracted from Wikepedia and generic web pages. There is also a conversational interface to allow users to directly insert facts. I am slowly (due to eleven month old twins) but steadily working on a new version of my now-ancient but still active (in a niche sense) multiplayer political strategy game. It uses a pretty cool random world generator (second link). Bash-like CoffeeScript shell on any website with pull-based UNIXy pipes & server-side command history. It was a lot of fun to get the streams between infinite processes to work right. Finding a job can be difficult and managing the application / search process has always been a pain point for me. I'm working on a personal app to help me find a job and manage the application process for it. I've scraped and indexed all of the Hacker News "Who is hiring" threads since January 2013 and am putting support in for Github Jobs and Careers 2.0 to get a pretty decent list of companies I may want to work for. The next piece is to add a tracking system to help me manage phone screens, followups, note taking, etc. I've been learning about machine learning and slowly training it to filter out jobs at places that I wouldn't like. Also if you're hiring, I'd love to chat: sfdev14@gmail.com. Do you plan on making it public at some point ? Looks like a really good idea. I do! My goal is to open source it when my job hunt is finished or maybe host it somewhere (already has registration and login). Not a screenshot, but a js mockup of a new service I am working on with a few others. In PouchDB We have a client side database that syncs in real time / works offline etc, but getting the server side of it setup for application users is still a hassle, this is gonna be a service (and an open source app), that deals with users authentication and datatase provisioning. Just so you know, you have a name conflict with another open source project of an entirely different domain. This may or may not matter to you. Currently focusing on the xdebugd side which is an xdebug proxy but with a web interface. I'll post a screenshot of that next Saturday I hope! Working on a new version of Twin Cities Transit, which delivers real-time departure information, rider alerts, and route maps, specifically for mobile users. I'm shooting to get this new release out before the Green Line extension to the light rail starts running this summer. On top of a new design, I'm spending a bit of time migrating old framework code to Laravel, allowing for better unit testing, stability, rapid database updates, and a nice workflow for building out new features. I'm writing documentation for my Heroku SSL Purchase and Installation add-on: ExpeditedSSL. The add-on makes it dead easy to put SSL onto your Heroku app-instance. I need this in my life. I deploy SSL so frequently, I would love it. If you're still interested after seeing how it works, my email is in the YouTube description. The add-on is still in restricted access while it moves through the Heroku approval process. Is it backed by a groundbreaking compression algorithm? I searched for your site and found lots of pages about vibrators - not sure if that's a good or bad thing. I'm working on a vector graphics editor simillar to Expression Design and Inkscape. The project is written primarly in ECMAScript 6 (via Traceur) and will be shipped on Chrome Web Store, Mac App Store and Play Store later this year. I'm a day late, but I had this tab open all yesterday, so close enough. Currently working on Fortune, an iOS app. The premise is that sometimes you just need some sort of fortune/pick-me-up/inspirational message. Fortune sends you a random user-submitted fortune at a random time during the day, and also allows you to submit fortunes that will be sent out to users. Pulling the screen up (http://i.imgur.com/CC5OKar.png) reveals the interface for giving a fortune, while pulling the screen down (http://i.imgur.com/Cm3qgJs.png) reveals the interface for taking a fortune. It uses Parse.com as a backend, and I'm currently working on reducing the total number of API requests. One of the problems I'm anticipating is how to prevent users from submitting negative fortunes. I'm looking into doing sentiment analysis on fortunes as they're submitted, but I'm open to any suggestions. A tool for analysing and segmenting Chinese text to help identify content appropriate for your vocab level and help prioritise which words in a given piece of text you should learn. It also opens large text files instantly. From the screnshot that looks really cool, but the main use case I would have is ancient Chinese and I'm unconvinced the analysis would remain accurate with ancient Chinese grammar. Also, there's no Linux version. :( Good job though... from an Australian in China. Not yet, but I've made sure that it runs under Wine (albeit with a few quirks mostly related to transparent images). A native version will be coming later. I wasn't aware /r/gamedev invented Screenshot Saturday, but I do know it's very popular among all game developers. I like the idea of a similar weekly tradition for HN. Weekly feedback is great motivation, and the ideas that come out of here are often superb. That being said, screenshots are not the best format for every progress report. It works well for game developers because such a large part of games is visual, but that's not the case for a lot of things hackers might be working on. Something like "Side Project Saturday" would work much better. Another problem is agreeing on who would post these weekly threads. If something semi-official wasn't decided on people may race to be the first to post every Saturday because of the guaranteed karma, which would lead to threads starting at pessimal times. While the optimal time would be 9 AM EST for maximum exposure, people might be posting the second it turns midnight (or even earlier), which would lead to empty threads and ultimately the death of the tradition. Perhaps a novelty account could be created just for the sake of posting these threads with no affiliation to anyone in it's bio, in the same way there's the user "whoshiring". It even follows the "S" formation! Product name is called scaleqa. 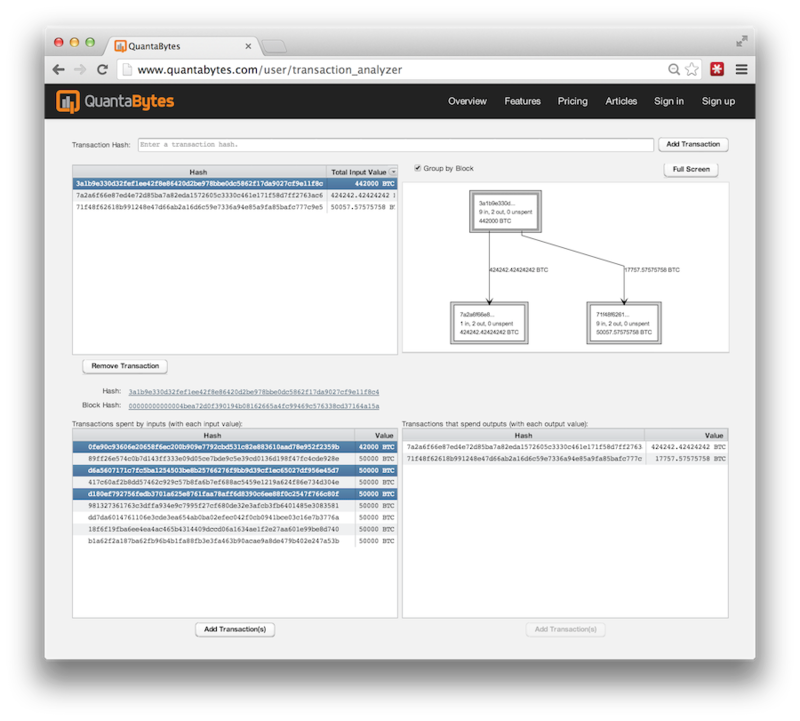 We are building an end to end solution targeted at assisting manual testing. Manual tester can record, assert, playback in multiple platforms his scenarios. 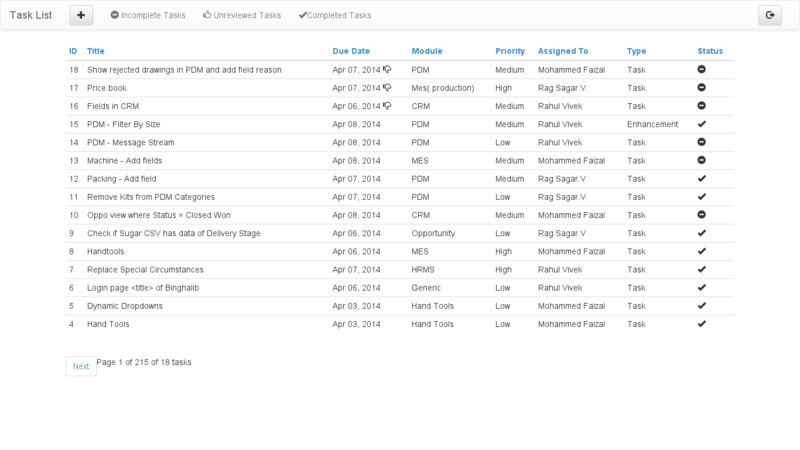 We are in final stage of beta and plan to show to few startups for feedback. Currently we are able to create tests for 70% of the scenarios of desktop websites. That percentage can be improved as we go ahead. 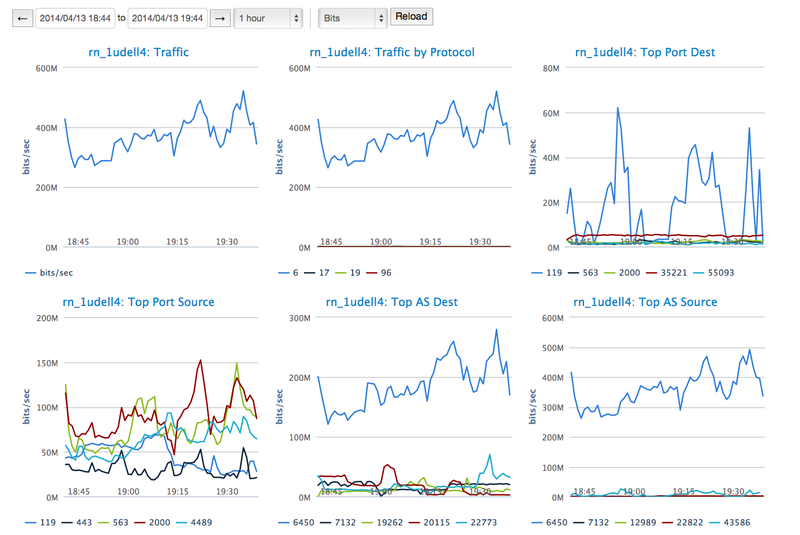 Following are the screenshots of record and dashboard. We are using modified version of sebuilder as record engine addon while a website integrated with addon as test dashboard. Manual testers we spoke to were enthusiastic about saving time significantly during build release where there are large number of tests run every week or once in 2 days. last week I worked on some pocketing and lettering code : http://nraynaud.github.io/webgcode/text.html (it's a excuse to introduce Ember into the codebase and learn it). The display is multi Level Of Details (it's visible when scrolling quickly), and the computation is done with a worker pool. Reminds me of playing with RhinoCAM and CNC routing during a digital fabrication course in college. I love the idea of this, it's definitely motivational and I'm sure many of us could do with such motivation. I know it's not Saturday, but... after seeing this thread I've decided to continue work on my Pebble watchface, Purr. I've been building a football (soccer) stats site to teach myself to code. Python/Django. The main gist was I had stuff I did every week in spreadsheets to facilitate my losing money ( ;-) ) at the weekend, and wanted to automate it. Built a python program, realised it'd be nicer if it had a web interface, enter Django... spoke to some friends who asked if they could use it once they were done, and here we are. No ads, no affiliate links (things that are genuinely horrible, if you're just looking for the stats, especially at work). 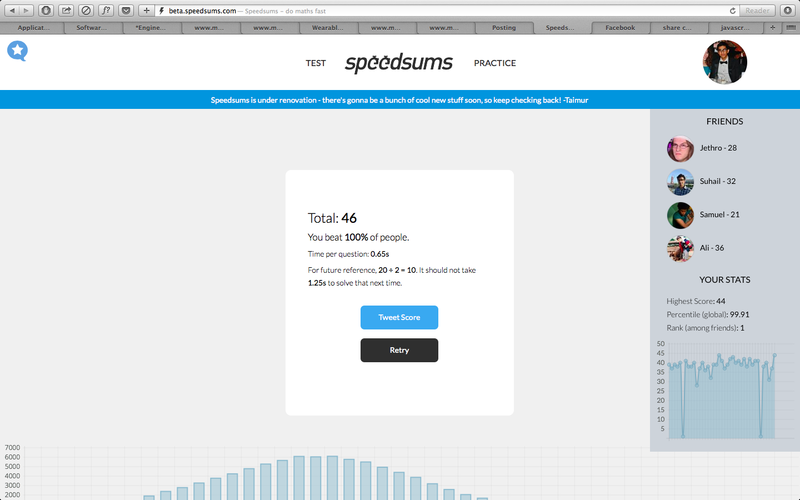 For having started to learn to code less than a year ago, I'm pretty pleased. It'll soft launch before the end of the season. CloudHelix is in beta with a portal and data platform for network visibility and control - top talkers, dDoS detection, and mitigation hooks. 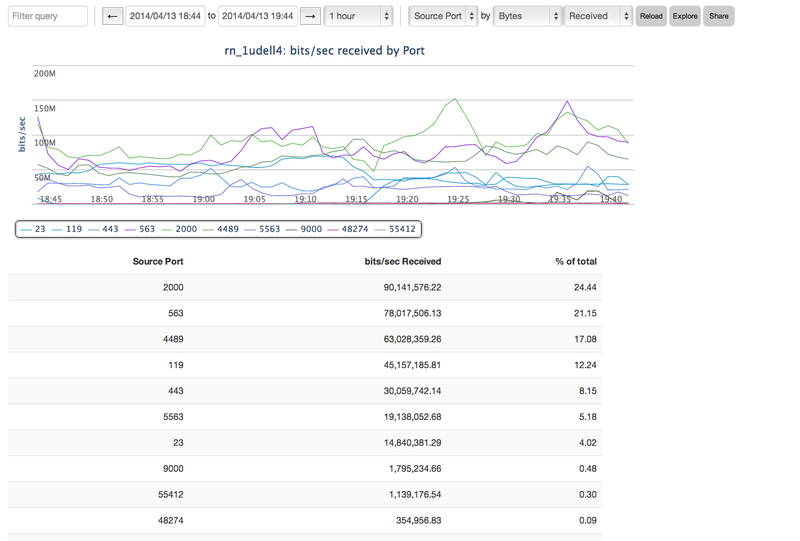 We're focusing more towards networks but can do host data also (the screenshots are from a Usenet server). The UI is just a shim on top of postgres, which itself is a frontend to the clustered DBs running things on the backend. Feel free to ping me (avi at cloudhelix.com) if you want to play around. I read somewhere about 'the kernel trick' (a machine learning concept used in vector classification), and decided to implement a few major distances (euclidean, absolute and dot product) and see what they would actually look like. Turns out 'the kernel trick' and KNN classifiers can be chained endlessly in a recursive structure (as long as you build and propagate your neighbourhoods right! ), which means they can be used as an activation system in a neural network (as opposed to the sigmoid or hypertan functions). Here you go, a test run for private quant machine learning delta neutral trading algo for sp500. Note: The numbers are for this short run only so don't draw any conlcusions from the training range shown etc. If you're willing to share, what's your approach? Are you using sklearn or doing any training on a GPU? What source are you using for the data? Yahoo finance? "Visionary - thinking tools for entrepreneurs and creators"
Visionary is my upcoming startup – it is a mindmapping tool for entrepreneurs and creative people. You can use it to generate ideas, create plans, organize information, etc. The goal is to make the perfect mindmapping tool. There will be business model canvas, and prompts for creative thinkning based on ideas of Edward De Bono, and all kinds of awesome features to help people think and invent ideas. Nice idea. Reminds me of those "post a screenshot of your desktop" threads you used to see on forums. I think this could be a really useful tool for relationship management - almost like BloomThat with a schedule. Perhaps you could pitch this to businesses that need to impress their clients and create pre-scheduled gift sets. For example, send flowers for your prospective clients' birthday, send chocolates and a thank-you after a meeting, etc. Maybe. That's what most people use GiftsOnTime (our biggest competitor) for, actually. Just checked out their website. It's really unclear how they could help a mom-and-pop small business - maybe this could be your niche. If it's something you'd be interested in, why not put together a few gift packages (or better, series of gifts) that could be useful in courting a new landlord/potential investor, etc? You could differentiate yourself by clearly explaining why your gift series would be useful to someone who pays for your service. I like this idea. But where do you place the orders for your gifts, or is this something you handle yourself as well ? 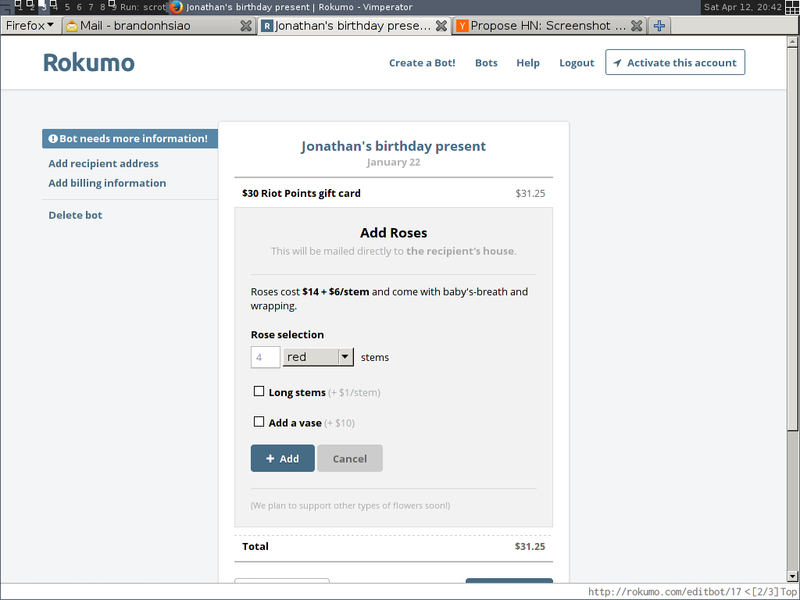 Most of the gifts right now are pretty generic and we have software that automates it. Later we'll have to figure out how to scale this. Working on my toy functional language in Ruby . Gives constant-space recursion, true higher orderism and homoiconicity in a Ruby environment. I've used it to create a static site generator, which I use to post snippets of code I've been working on . It's a tad rough around the edges, but I hope to have it pretty usable soon! It will allow users to: - See which ones the have read (kind of like email) - Favourite comics - Discuss them in comment thread - Search through the comics (using title, number, alt-text and transcript) - Set up notification schedules, e.g. "Put a random comic in IRC at 2 o'clock every weekday" or "Email me the latest comic when it comes out"
And after that, lots of bug fixes and environment clean ups (code coverage pipeline / static analysis etc.) Managed to knock down quite a few little bugs that way. Interesting. I'm still searching for a powerful, yet simple to use stream processing library. Which projects inspired you to write ghostream.com? I've played with a variety of frameworks (Storm and IBM Infosphere Streams are probably the two I have worked with the most) - In my previous job I was in a team which designed and developed our own (and later integrated partly with IBM Streams) I took down many lessons from the initial creation, the later integration and the work following that. ghostream was born out of those lessons. - Tied to an execution environment - Storm with ZooKeeper and Streams with their own custom one. This makes it very difficult to use either for small projects - and limits integration choices when scaling. - Resource hogs - The IBM Streams environment is a huge resource hog, I never really got that far with Storm but the number of dependencies it required just to get something up and running provided a similar sense of dread. - Easy to debug/optimization - Streams has the best tools for this at the moment but they are all heavily tied to the execution environment. I'm hoping with ghostream that structures can be built at the protocol level to provide a way to build tools on top - not tied to any particular environment. 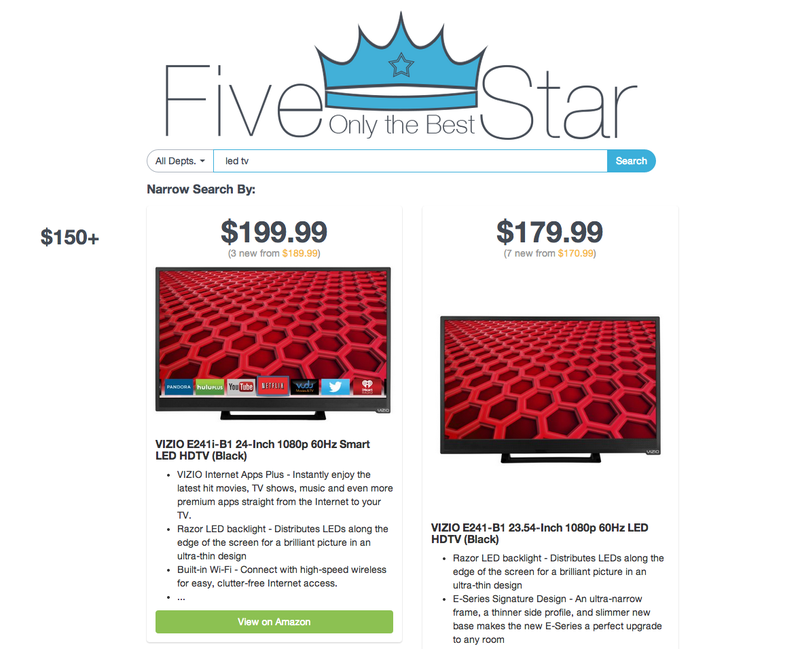 In my spare time, I'm working on http://fivestar.io, which gives you the best Amazon item for a query and breaks it down by price range. So you can find the 'best' product based on relevance, popularity, reviews, and cost, without having to compare reviews and popularity yourself. The results still need some work; sometimes Amazon's API returns illogical price brackets, so a fallback is necessary, but I'm pretty happy with it at the moment. Finally got a working sort for an implementation of a closure table for a forum project. Horribly inefficient though. Also, this is a great idea. Unfortunately, while it works, it requires extra effort to sort the results properly. The python flask app finds music on your computer and scrapes as much data as as possible from sources like last.fm, discogs, iTunes and musicbrainz. You can upload music as well if you like, it will read tags and transcode it for you. You can edit tags, search (really fast), stream and find related tunes. Ideally I want to analyse my music history to build a true smart playlist, also maybe connecting this up to sabnzbd for missing albums. Group chat built for design teams - Discuss, draw or annotate design concepts with your team in real time. My team currently uses HipChat but we do a lot of design work and are constantly switching to Jing or Skitch to screenshot, markup and then post a link in HipChat. I'm just testing the idea that it would be nice to be able to screenshot, annotate and draw on any image right within your team chat room. Still need to name it though... Any ideas? Although it's Sunday, I'm a bit late but I liked the idea so much. I found some of the projects listed here extremely interesting. I'm in the (unfortunately long) process of learning rails among other things. I'm building a small medical office/patient management application based on what I'm learning. Here is sshot. Working on my toy language again, building the tutorial along with language features (helps me reason better about real-world use cases). I've been working on redesigning and adding new features to http://www.speedsums.com, which you may remember seeing on HN a couple of months ago. This is cool. I would use it if it was on my city (in Brazil). But I don't know how to market it. We are working on a Bitcoin analysis service. This is a screenshot of a tool for following the flow of Bitcoins over time: http://i.imgur.com/3FMKMdR.png. You can try it out at http://www.quantabytes.com. I'm working on feenbox, a service to receive feeds on your inbox, with geek-friendly features. It's about a week close to alpha launch. Would you be interested if I make a call for alpha users on HN? I would be interested, I'm getting daily HN mail and I use http://theoldreader.com/ but I have to many feeds to read them all so a mail would be nice. This is somewhat late for Screenshot Saturday, however I have been working on Retailius. The goal is to disrupt the retail industry through the point of sale. The website (in the process of learning front end development) is viewable at www.retailius.com. 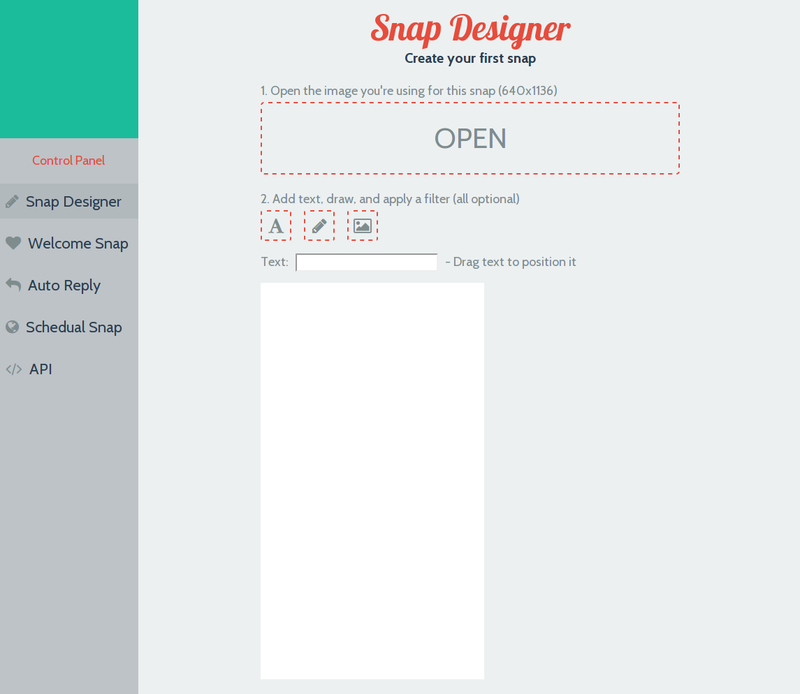 As of right now, it is a static prototype consisting of Keynote-linked wireframes. Working on Resumetory.com - A place to manage your resumes and make applying to jobs easier. I've been compositing some 3d prototypes of our invisible keyboard project into photos for our website. 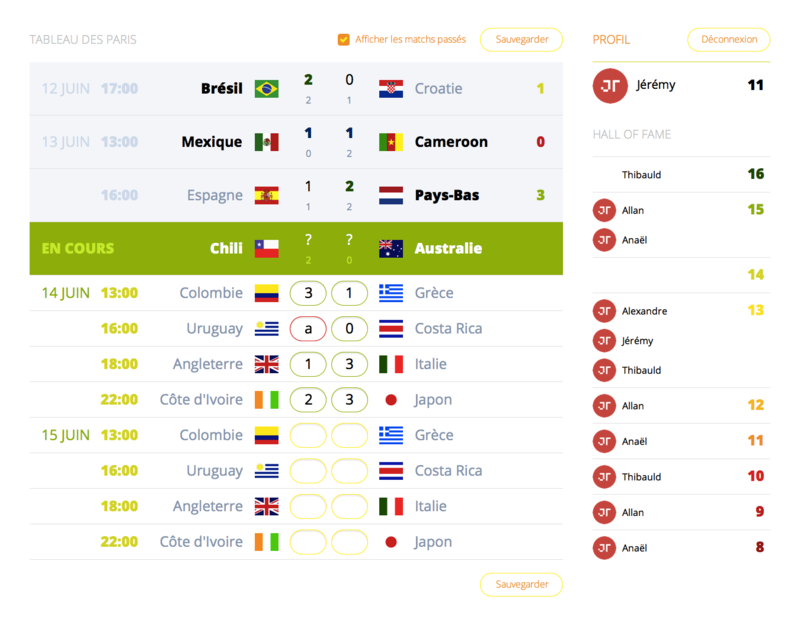 A World Cup betting app, to play among friends! Built with NodeJS (backend), Firebase (real-time chat), and Meteor (front). Out of interest, how are you getting your data changes at the NodeJS level to automatically propagate to the Meteor clients? Or by "NodeJS" do you mean you're using the full Meteor stack? I have nothing to post but i really like the idea, especially considering the replies you got. this thread rules! i feel motivated to have something for next Saturday.